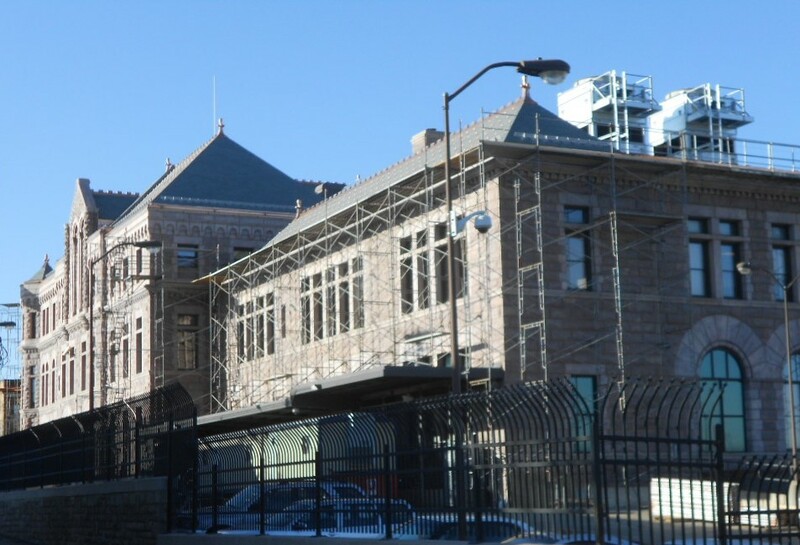 From historic building preservation to repairing cracks and damage to concrete and windows, we have a wide range of expertise in restoration and repair. From historic building restoration to repairing cracks and damage to concrete and windows, we have a wide range of expertise in restoration and repair. Sometimes simple repairs go a long way, such as bathroom tile repairs or repair to a sheetrock wall. Furthermore, some repairs are not simply about appearance, such as caulking around windows, but are vital to prevent significant damage from moisture. Rangel Construction prides itself on being a company you can count on for any building related need. 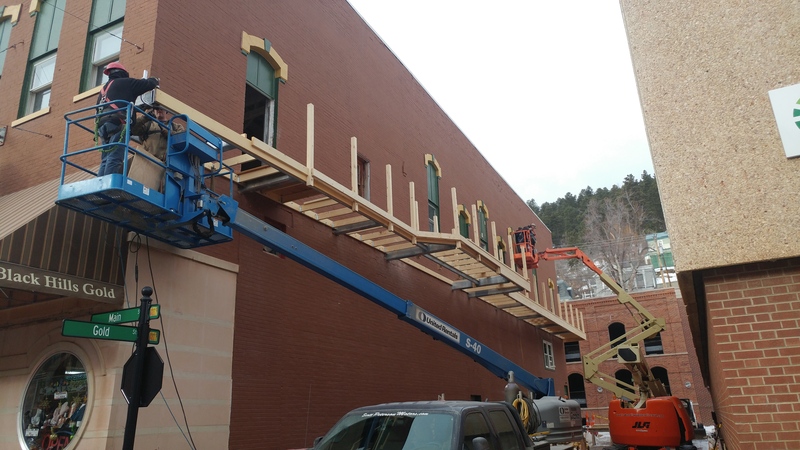 Our restoration work on the historic Berg Jewelry building in Deadwood, SD, won the Construction Industry Center’s Master Craftsmanship Award in 2017. 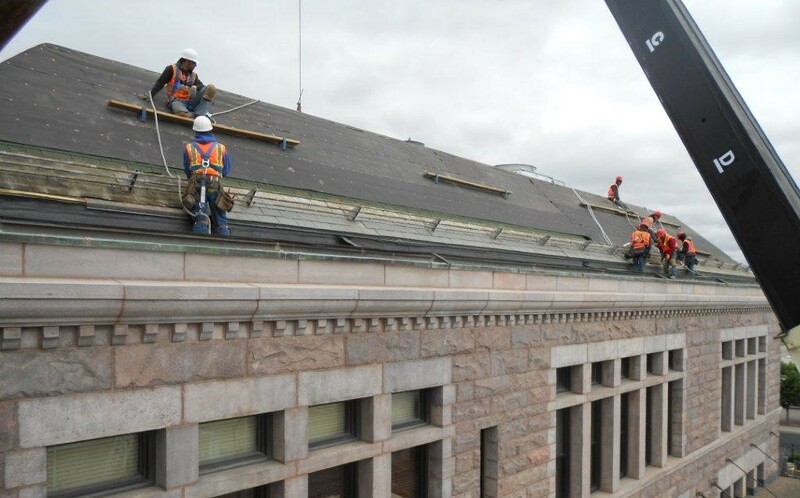 Our crew hard at work on roof repairs at the Sioux Falls Historic Federal Bldg., 2011.